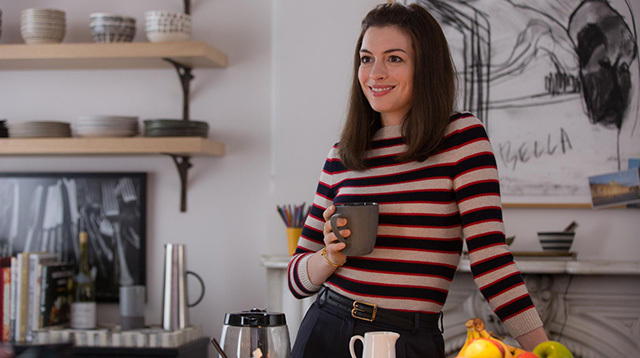 Anne Hathaway has grown up from fresh grad Andy Sachs in The Devil Wears Prada to the coolest girl boss ever, Jules Ostin, in The Intern. Jules is a successful owner and founder of a super fashionable e-commerce startup (kind of like Zalora). She's also the tech industry's star on the rise, but any leader will admit that she can't do it alone. 1. She's a super hands-on boss. 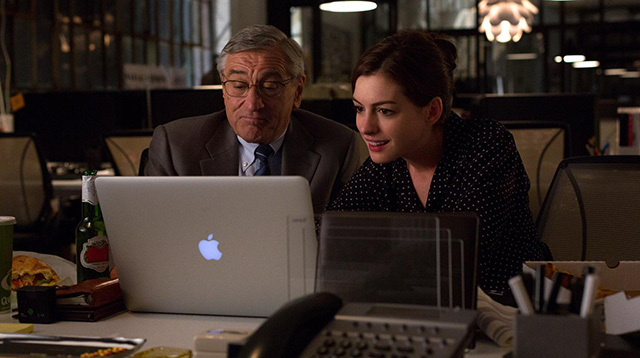 She even helps Robert De Niro (Jules) set up his own social media account. How cute is that? 2. She's a career woman, a mom, and a wife. 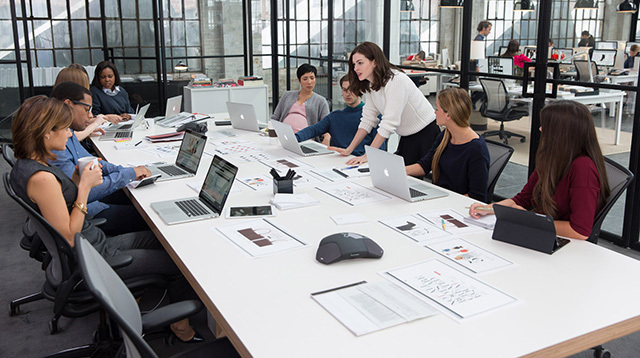 One of the themes the movie dives into is the struggles that working moms face in the office. 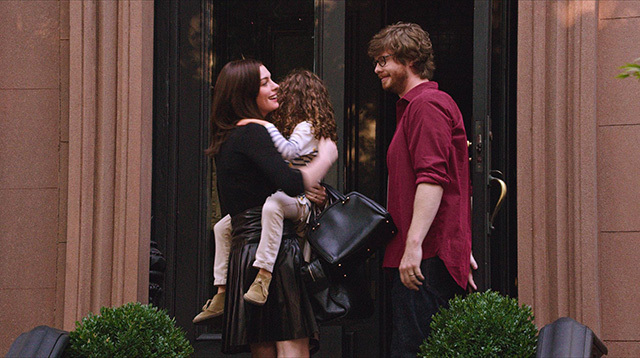 Jules gets judged for never having time for her husband and her kid, but it's the way she balances her roles as a boss, mom, and wife, that makes her super amazing. 3. Her office is the bomb. Clean walls, natural light coming in from the windows, and no cubicles?! It's every millennial's dream office! P.S. 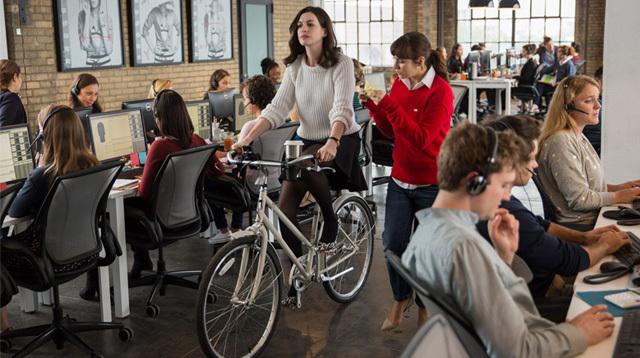 Jules actually bikes inside her office! 4. Jules is always dressed. She keeps her look casually cool by opting for neutral tones, but always has a look-at-me piece—whether it's a statement bag or a pair of chic sunglasses. 5. The girl has more then 200 employees in the movie, and commands their respect by being super dedicated to her work. 6. Her work relationship with 70-year-old Ben is admirable. In the movie, Ben is a retired publishing VP who becomes Jules' intern. He becomes her personal counselor and work BFF when times get tough. 7. She doesn't belittle people. 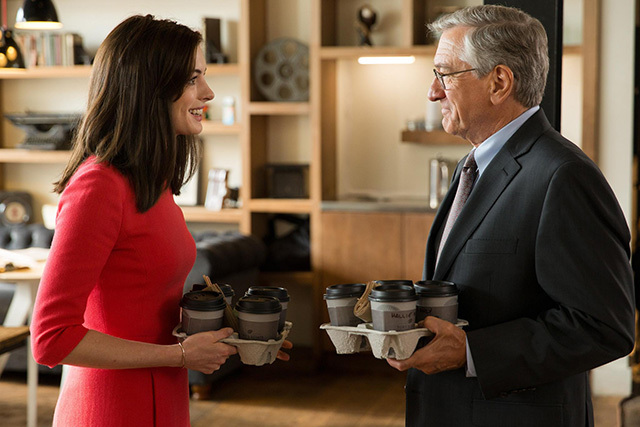 Jules is the boss, but that doesn't mean she's going to skip coffee duties. 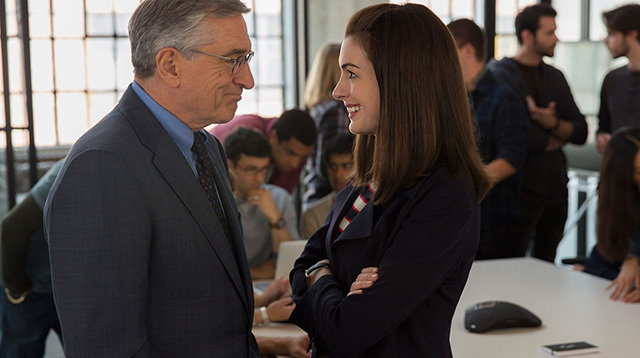 The Intern opens in cinemas nationwide on September 24, Thursday.